Start with a superior cut. Sit down in comfort. Get a smooth ride and up to an 8.5-mph (E and M models) or 9-mph (R models) forward ground speed. And get one of the quickest, most comfortable and efficient zero-turn mowers you’ll find today. 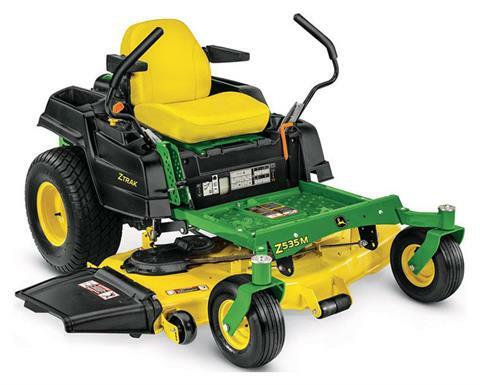 Mow like you mean it with the powerful Z500 Series Mowers.